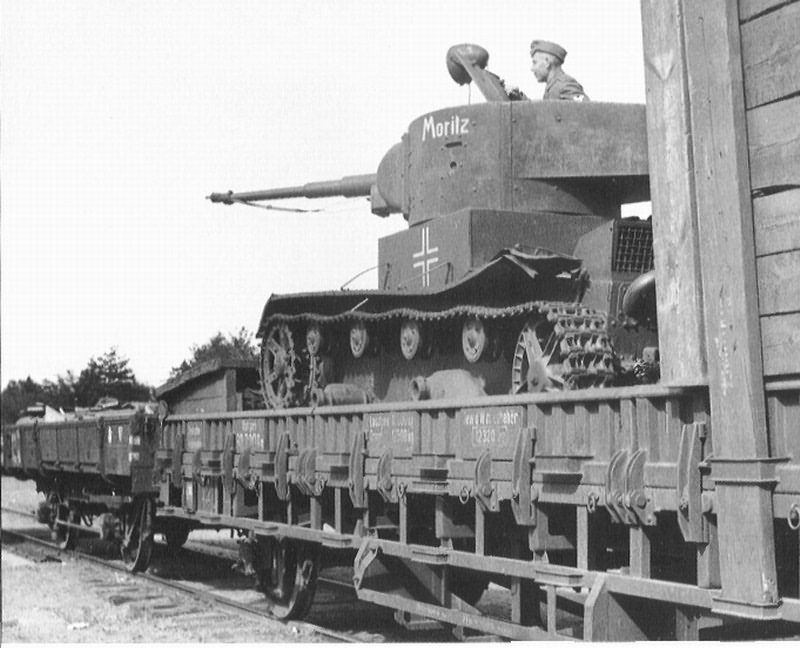 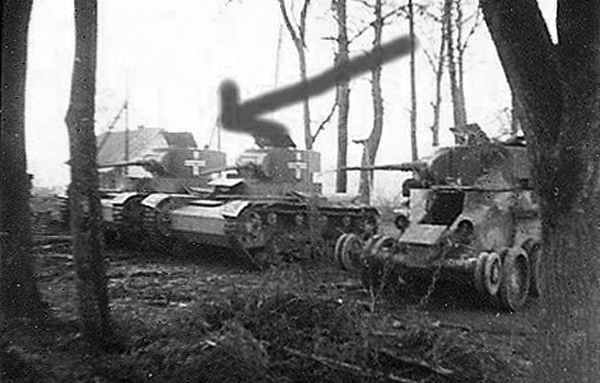 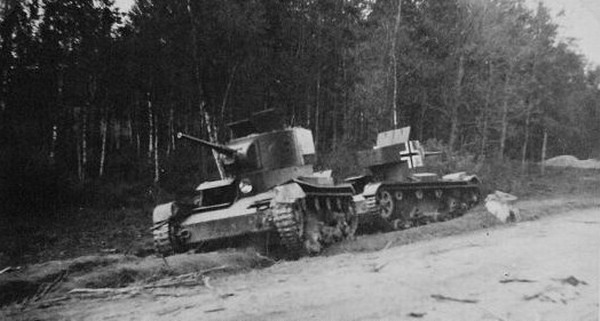 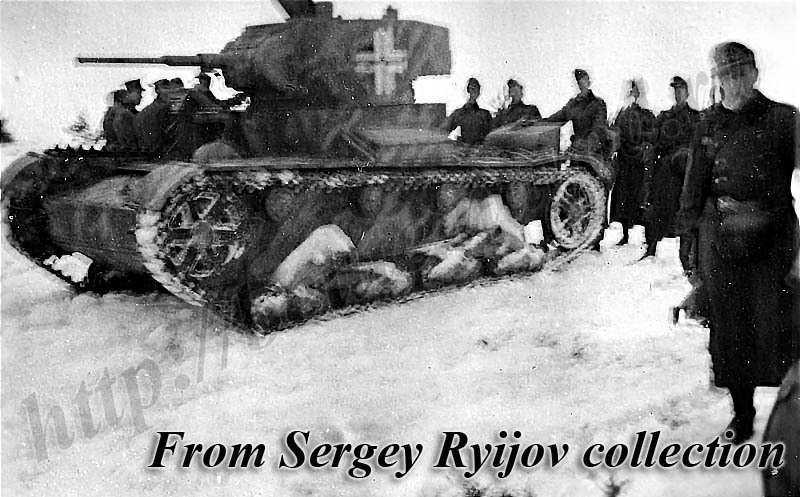 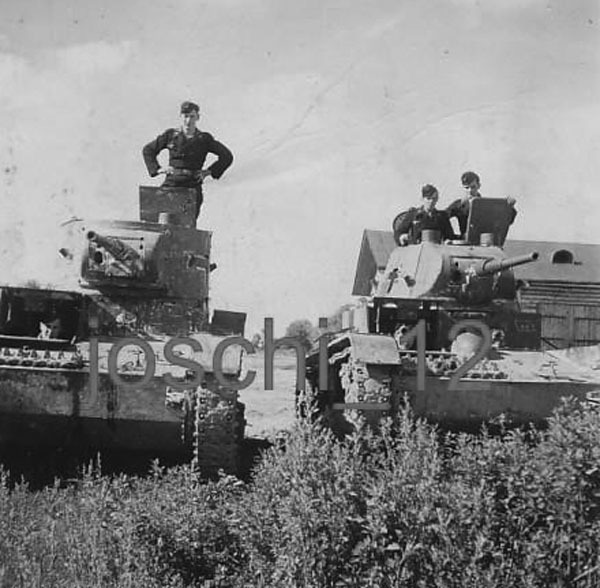 Germans captured T-26B and T-26C from unidentified unit. 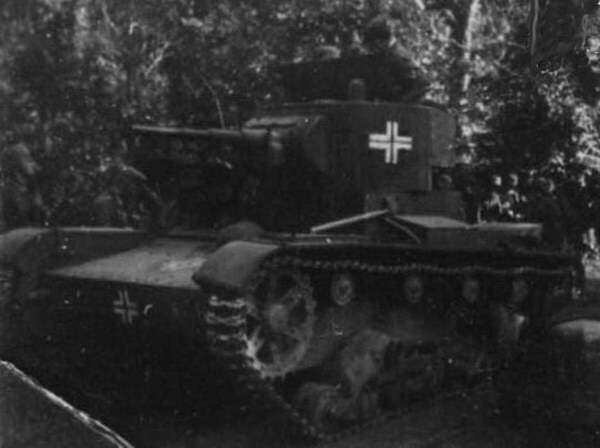 Note spare tracks on the hull frontal plate, germans black and white crosses and rhomb-shape white markings on the T-26C hull frontal plate. 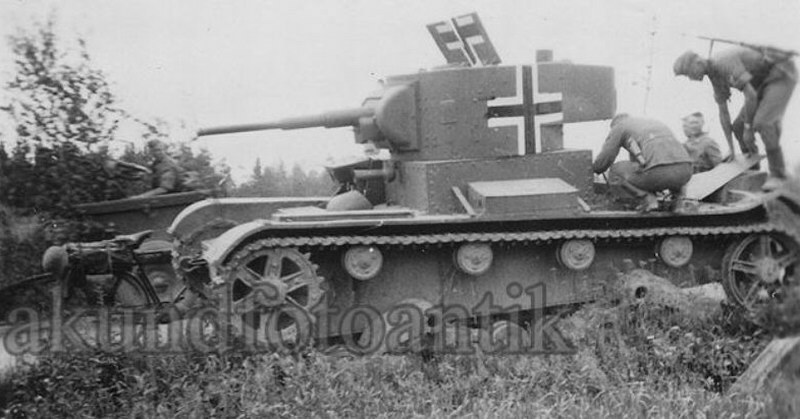 T-26C pictures from the same unit. 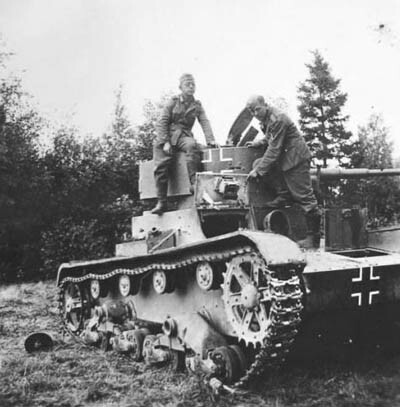 T-26B probably with germans markings on the turret and destroyed T-26C. 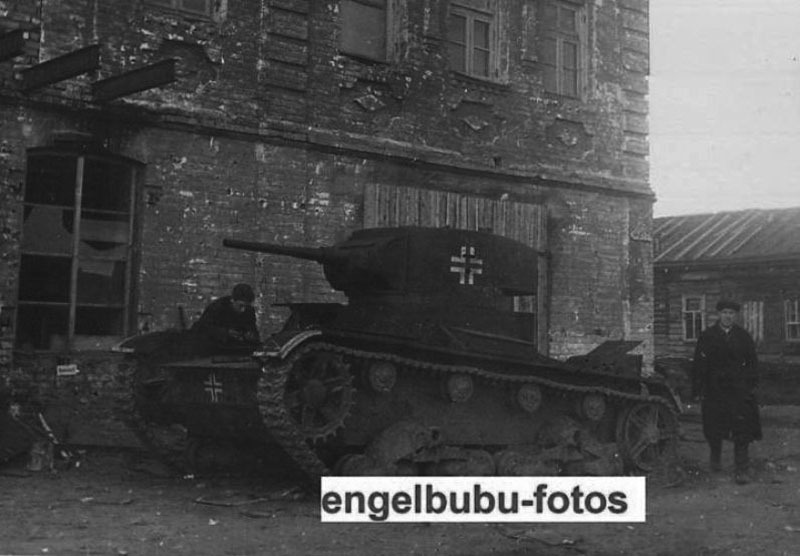 Juni 1943.